I am running for Berea City Council to continue the work I have dedicated my life to: developing communities, empowering our youth, and eradicating poverty and oppression experienced by the marginalized. I’m in this for you, I’m in this for our youth, I’m in this in hopes to ensure that everyone has the opportunity to live up to their greatest potential. I come to this race with fresh, positive energy and new, informed ideas for advancing the city of Berea. - A community center for Berea - there is much debate about why we don’t have one. I want to work to get it done. - A Fairness ordinance - Berea is overdue. No member of our community should feel unsupported by their local government. - Utilities contracts that are longer term to lock in the cheapest prices for Bereans. - Ordinances that require accountability and transparency, whether that is requiring notes from each commission/committee under the city’s purview or mandatory reporting for use of city funds. - Plastics reduction and energy conservation efforts. - Work with existing agencies (including Berea College or Berea Urban Farm, for example) and explore partnerships to address social issues facing our community - opioid reduction, food insecurity (Grow Appalachia is a great example), and homelessness. - Support for moving toward a ‘wet’ city, provided we can do so while preserving our small business sector. - A strong strategic plan for our city that includes budgetary support for small business development, social programming, and especially infrastructure (from potholes to ADA accessible sidewalks). - Support the arts and encourage growth in the artist community. - Garner input from the community on a regular basis, listening and responding to concerns with the urgency and care they deserve. 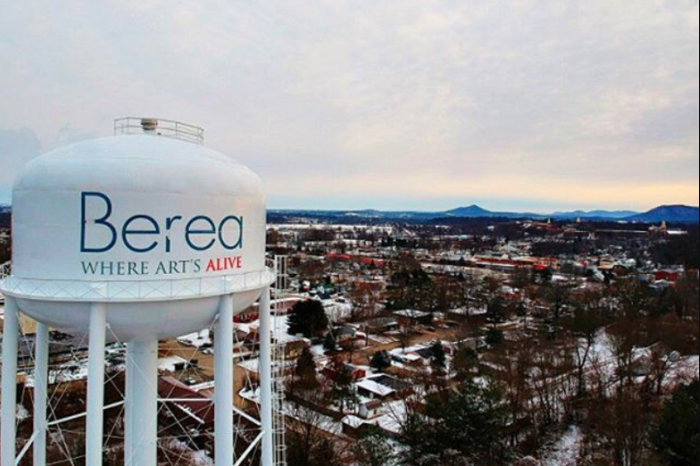 - Inspire the youth of Berea to become civically engaged. The city council should be mindful of succession planning and cultivating leadership in the community. I believe that building a strong community starts with ensuring that our families are healthy and safe, no matter what size or shape they take. Issues like opioid abuse, food insecurity, and homelessness are prominent in our community and these issues are not insurmountable if we come together to solve them. Our government and community leaders are charged with setting an example by finding solutions and taking action. Every member of every neighborhood should feel safe and protected, where needs and concerns are validated. As a member of our city council, I will continue to be an example of leadership, making all Bereans and your families a priority. The people of Berea deserve to BE HEARD. Government should not feel condescending and can be a means to connect us. Those who represent us should be honest, open, and willing to serve as a community resource while making ethical decisions for the advancement of our city. Our representatives must share the truth with integrity, and in doing so, show(s) respect for the hard-working individuals that make our city an amazing place to live. I commit to not only being a council person who leads with integrity, but one who will strive to hold the council accountable to those it serves. Our city council is a nonpartisan body and I am committed to nonpartisan solutions for our community. A less flashy subject, but one that is a major part of holding a seat on city council is that of maintaining and improving our infrastructure. Council members have the power to allocate funds needed to repair our roads, lights, clean up abandoned properties, and more. Maintaining our infrastructure keeps everyone safe and improving our infrastructure is key in drawing in new business to our city. Additionally, the wealth gap that we see across our nation exists in our city as well. 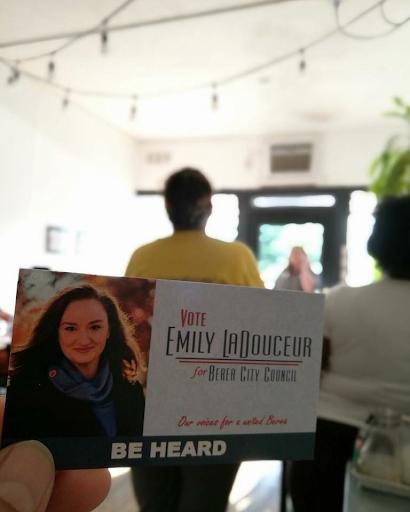 Our unemployed or underemployed deserve a city council who will work tirelessly to bring new business, big and small, to our community, creating jobs and also attracting families who look for cities with spaces to enjoy activities outside their home. I value diversity and inclusion deeply for many reasons. Berea is richly diverse, but that diversity is not represented on our city council. I cannot represent everyone by identity alone, but I can guarantee that I will consistently elevate the stories and voices traditionally unheard because of marginalization or bias. I am proud that every service I’ve used and every marketing material I have has been procured from either local and/or minority-owned businesses. I will support any policy that ensures fairness and equity in our community, whether that be for the elderly or members of the LGBTQ+ community or even single parents like me. Every Berean deserves to be seen, heard, and supported by their representatives. Do you see a gap somewhere or an issue that needs to be addressed that I haven’t touched on? What are you passionate about working on to better our community? Email me at emilyforberea@gmail.com. I have been intentionally gathering research and information and agree or disagree, I welcome your input. BE HEARD, Berea!